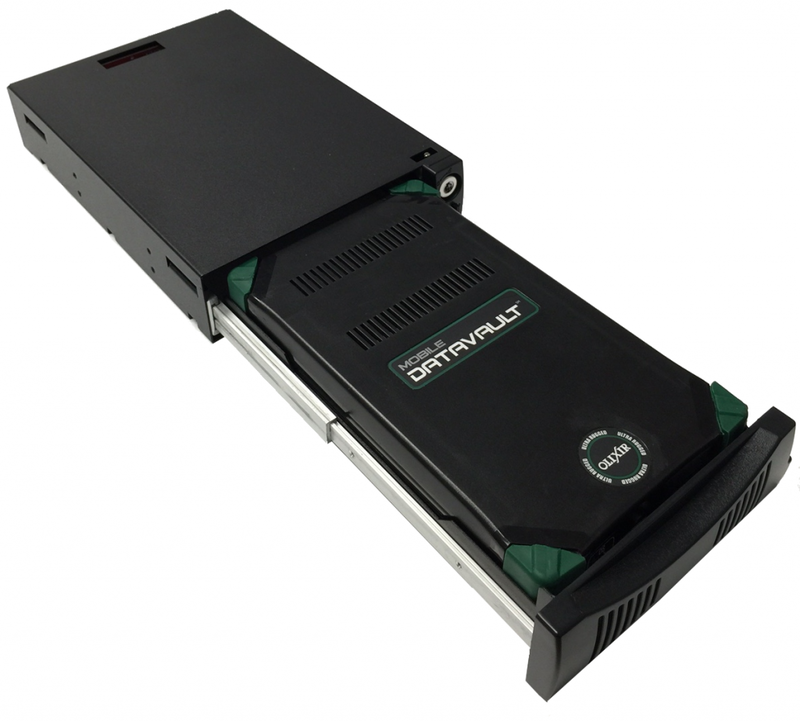 Can be used with Olixir’s family of removable drives, which offer up to 8 TB in capacity! The docking bay installs into a standard 5.25” slot and has convenient SATA connectivity – allowing the bay to integrate into a wide range of workstation/servers, 19” Racks, and other towers. Removable drives can be hot-swapped from the docking bay. This docking bay was designed for use in both stationary and vehicle/air applications.